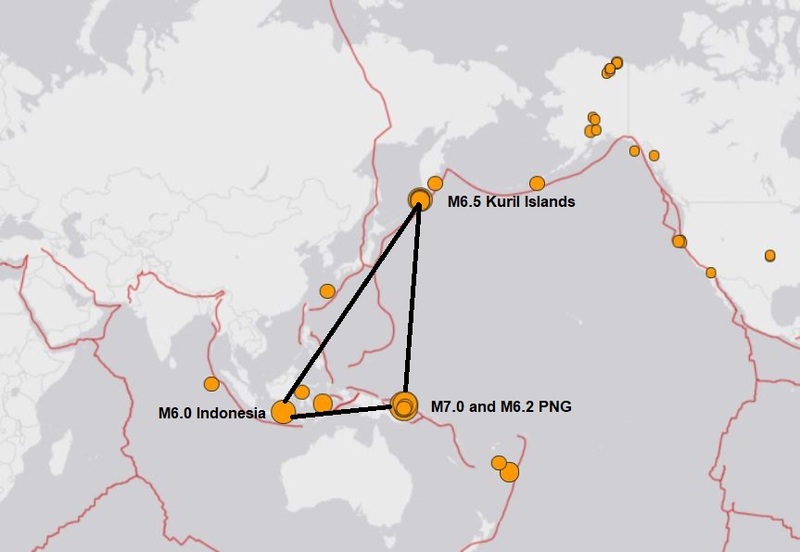 Not 1, not 2, but three earthquakes with magnitudes larger than M6.0 and a M7.0 earthquake hit along the Ring of Fire in less than 5 hours on October 10, 2018. Amazing how much pressure has been released in such a short time period. 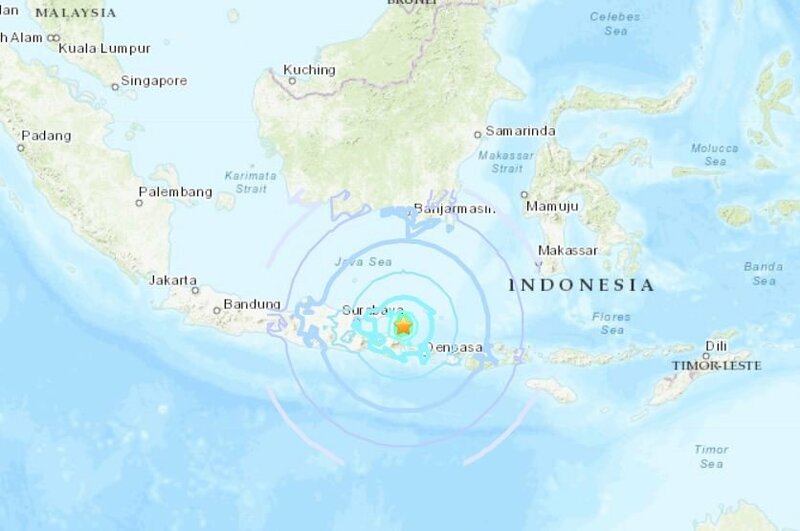 The first quake hit off the coast of Java, Indonesia with a magnitude of M6.0 at a depth of 9km (5.6 miles) at 6:45pm. 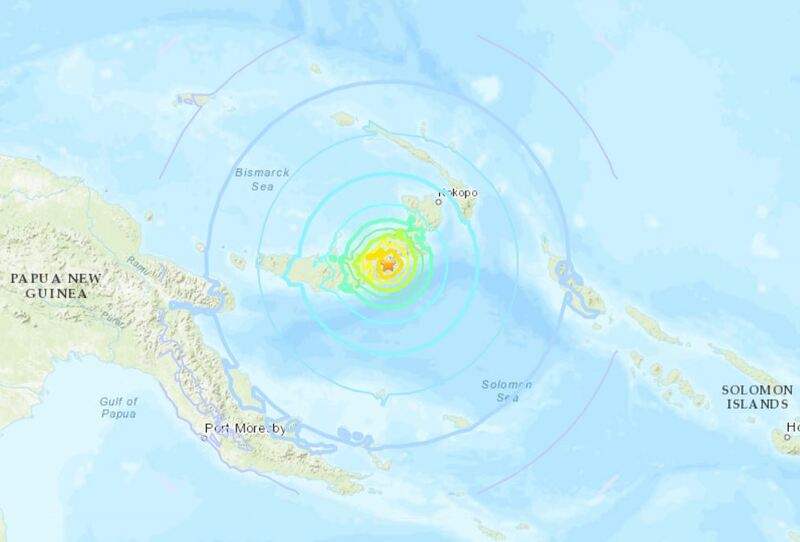 According to USGS, the strong shaking was reported by more than 160 people across the island. 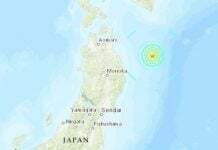 No tsunami has been neither detected nor reported. The quake killed at least 3. 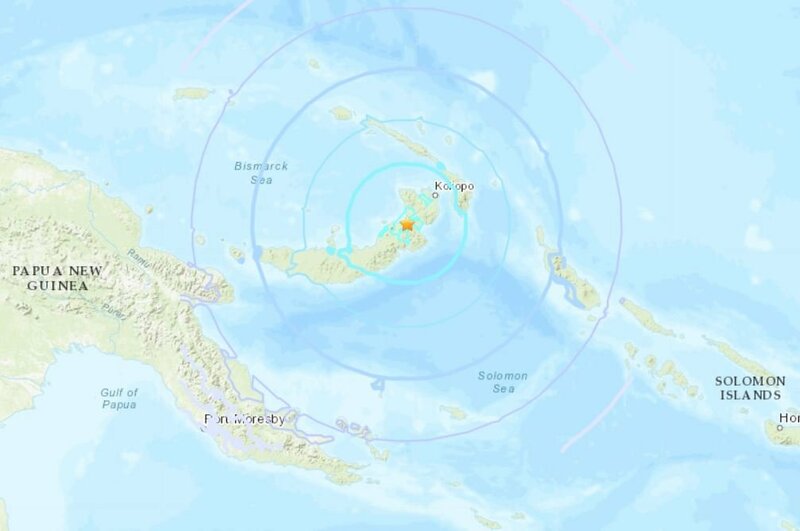 2 hours later, a powerful M7.0 earthquake shook the ground of Papua New Guinea, 117km E of Kimbe at a depth of 40km (25 miles). 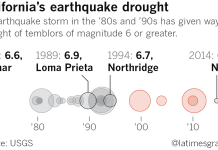 Thanksfully, almost nobody lives where the earthquake struck. This major event was followed by an strong aftershock measured at M6.2 at 10pm. The epicenter of this very deep earthquake was situated at a depth of 120km (75 miles). 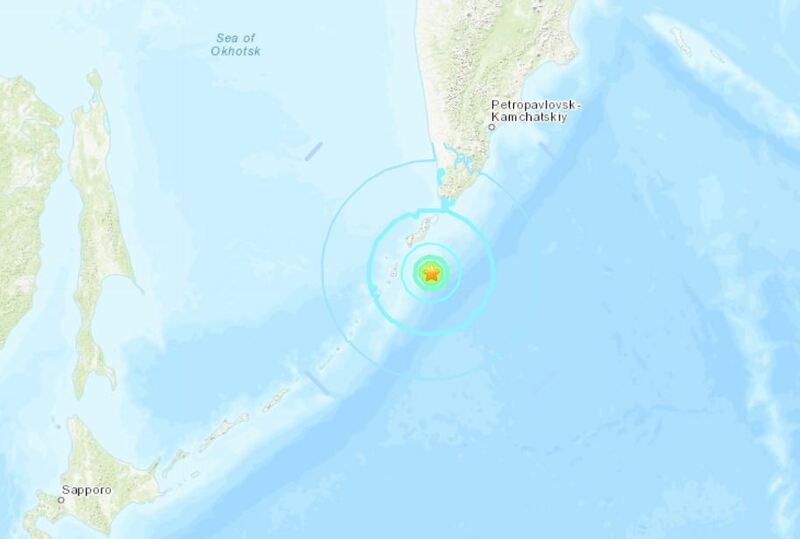 Finally, the earth shook again strongly in Russia as a M6.5 earthquake hit the Kuril Islands in Russia at 11:15pm at a depth of 17,5 km (11 miles). 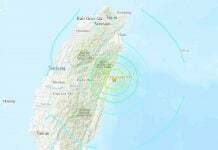 There is no danger of a tsunami and were no immediate reports of damage or casualties, since this region is almost inhabitated. The ring of fire is heating up again. Some major volcanic eruptions may follow in the next days. Be ready and get prepared!